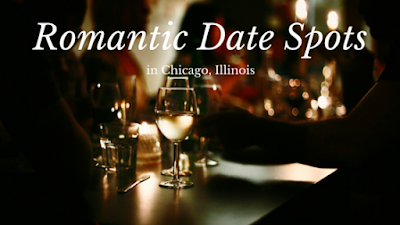 If you plan on attending our Chicago CME conference this month and would like to plan a romantic date night while you’re in town, check out our recommendations for the best restaurants in Chicago. While it was difficult to narrow down the list, we feel that these choices reflect the quality and diversity Chicago restaurants have to offer. 1. Takito Kitchen – Takito Kitchen is a farm-to-table restaurant with a Mexican-inspired menu created by Executive Chef David Dworshak, who is known for his support of local farmers and seasonal offerings. The menu offers shared plates, ceviche, tacos and soups – all with a focus on fresh ingredients! Try its selection of mezcals and fresh margaritas while you’re there! Takito Kitchen is located at 2013 West Division in Wicker Park. 2. Avec – While Avec has been around since 2003, it is still one of the most talked about restaurants in Chicago. Chef Perry Hendrix has created a rustic yet sophisticated menu with Midwestern ingredients and a Mediterranean flair. The bar hosts wines from small wineries in France, Italy, Spain and Portugal. Avec is located at 615 West Randolph, 60661. 3. The Duck Inn – The Duck Inn is the newest creation from Michelin Star winner Chef Kevin Hickey. While it’s famous for its potted foie gras and bone-in short rib, the Duck Inn is also known for its selection of beers, wines and signature cocktails designed to complement the sophisticated menu. Imbibe with a cold pint in the outdoor sitting area surrounded by The Duck Inn vegetable and herb garden while you enjoy local music and events. The Duck Inn is located at 2701 South Eleanor, 60608. 4. Joe’s Seafood, Prime Steak & Stone Crab – Joe’s Seafood, Prime Steak & Stone Crab is not just famous for its delicious seafood and steaks – it’s also known for its beautiful dining rooms, excellent customer service, signature cocktails and wines as well as its homemade desserts. Joe’s offers gluten-free, vegetarian and children’s menus to accommodate the diets of every guest. Joe’s may be somewhat pricey, but once you taste your selection, you’ll know it was well worth it! Joe’s Seafood, Prime Steak & Stone Crab is located at 60 East Grand Avenue, 60611. 5. Alinea – Alinea is one of the most unique restaurants in Chicago, if not the world! Alinea truly lives up to its name with its unconventional menu offerings and outstanding attention to detail. Chef Grant Achatz brings the best of molecular gastronomy to Alinea by elevating ingredients using innovative technology and equipment. Alinea is located at 1723 North Halsted Street, 60614. These are just a few of the best restaurants for enjoying a romantic date night in Chicago. The Chicago night life is also full of unique bars and nightclubs with something for everyone to enjoy. What are some of your favorite places to frequent while in Chicago? Share your thoughts in the comments below! 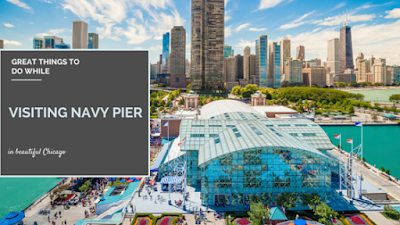 If you’re planning on joining us for our Chicago CME conference this month, take advantage of some of the wonderful things Chicago has to offer while you’re in town, like the Navy Pier! With 26 miles of lakefront area, there’s no shortage of lakeside destinations in Chicago. If you’re looking to spend some time near the water, we know you’ll love spending it on Navy Pier. Whether rain, wind or shine, there are always things to do at Navy Pier. From seasonal attractions, temporary public exhibitions and special events in addition to the permanent fixtures that make up the Pier, you’ll never find a shortage of activities here. The Chicago Children’s Museum is packed with activities children of all ages will want to dive right into. The museum offers year-round activities including a tinkering lab, dino expeditions, a treehouse and climbing area as well as crafts and fun waterways that let your child explore the nature of water with pulleys, wheels and pipes. The museum offers free admission all day to children 15 and younger and waives all admission fees on the first Sunday of every month. So let your inner kid out and explore the possibilities! If you’re looking for a bit more adventure without the hassle of buying traveler’s insurance, check out Navy Pier’s own IMAX theater. Situated directly across from the Children’s Museum, the theater is comprised of a six-story screen as well as exceptional digital surround sound and acoustics that will make you feel as if you were actually there. Whether sci-fi or documentary, the IMAX provides you with a realistic, one-of-a-kind experience you won’t soon forget. If you’re looking for entertainment that’s a bit more down to earth, you’ll appreciate the Shakespeare Theater. Also located on the Pier, the Theater boasts a leading international company dedicated to the production of new works, classics and family programming. The Theater holds about 650 performances throughout the season, including Romeo and Juliet, The Taming of the Shrew and Macbeth, and has been the recipient of the Regional Theatre Tony Award. If all you really want to do is grab a drink, unwind and enjoy the beautiful Chicago skyline, head down to the LandShark Beer Garden, where live music is featured Wednesdays through Sundays from Memorial Day to Labor Day. The Garden charges no cover, and great food like brats soaked in LandShark Lager is served here seven days a week. What are some Navy Pier attractions you’d like to share with your fellow CME vacationists? We’d love to hear all about them in the comments below! 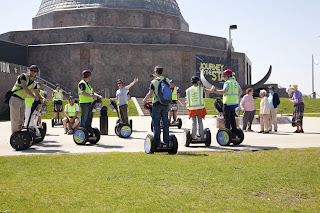 If you’re heading to our August 2015 Chicago CME conference and are looking for family-friendly activities in Chicago, we’ve got some great recommendations for enjoying the Windy City when you’re not attending conference seminars. Let’s look at some of the ways you can turn your next conference trip into a family vacation in Chicago! 1. Navy Pier – At the Navy Pier, you can enjoy live music at the LandShark Beer Garden along with daily sightseeing and dinner cruises around Lake Michigan. The Navy Pier also has an IMAX theater that will be showing features including “Tornado Alley 3D” and National Geographic’s “Pandas: The Journey Home” the weekend of the conference. Stop by the Chicago Children’s Museum to experience “Boats” with the kids for a fun, realistic boating experience including the Captain’s Jacket, sails, steering wheels, buoys and more. The Navy Pier is located at 600 E Grand Avenue, 60611. 2. Museum of Science and Industry – Blow your kids’ minds with the amazing science experiments at the largest science museum in the Western Hemisphere! Your kids can learn about airplanes, robotics, mathematics and the power of natural phenomena including tornadoes and avalanches with the museum’s interactive exhibits. This museum houses a model railroad, a German submarine captured during World War II and the Apollo 8 spacecraft that carried the first astronauts who orbited the moon. The Museum of Science and Industry is located at 5700 S Lake Shore Drive, 60637. 3. 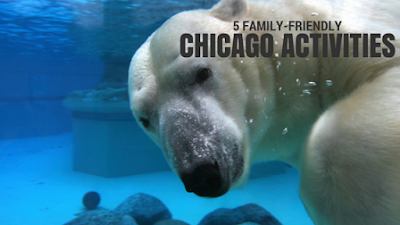 Lincoln Park Zoo – Lincoln Park Zoo is one of the oldest zoos in America – and it’s free! It is the home of two newborn red panda cubs and their mother, Leafa. Other recent additions include a baby black rhino and two African lion sisters. The zoo is open daily with special events including nighttime tours of the park and parties on the patio with live music and drinks from Next Star Vodka every Thursday night. The Lincoln Park Zoo is located at 2001 N Clark Street, 60614. 4. Adler Planetarium – The Adler Planetarium is one of the first planetariums ever built in America. The Adler Planetarium allows you to learn about space with exhibits celebrating the first telescopes and missions to the Moon. With a VIP pass, you also get access to the Shedd Aquarium, Skydeck Chicago, 360 CHICAGO or the Museum of Science and Industry. The Adler Planetarium is located at 1300 S Lake Shore Drive, 60605. 5. Chicago Riverwalk – The Chicago Riverwalk is a riverfront walkway on the south bank of the Chicago River in the downtown area. The Riverwalk has been recently extended to include another nine blocks, linking six different civic spaces together. The Riverwalk provides a unique and sprawling view of Chicago with restaurants, retail shopping and park benches for relaxing on the banks of the river. Free music concerts will be held every weekend until the end of August. The Chicago Riverwalk is located at E Upper Wacker Drive, 60601. These are just a few of the top attractions in Chicago you can visit with the family while attending our 2015 Chicago CME conference this month. What are some of your favorite places to visit while in Chicago? Share your thoughts in the comments section!